A young boy receives emergency life-saving malaria treatment. 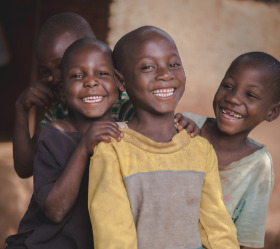 Trevor* is full of life today and loves playing with his friends, but he recently was so ill from malaria, his family feared that he was nearing death. 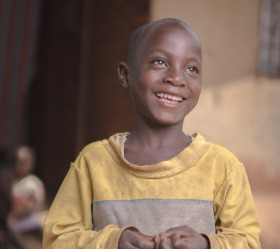 When the 6-year-old first came to The D. Gary Young, Young Living Foundation Malaria Center in August, he was suffering from severe malaria that required immediate treatment. Though he only started showing symptoms a few days ago, Trevor’s malaria advanced so rapidly that he was too weak and tired to wake up. Unfortunately, this is too often the case with small children; their bodies are simply unable to fight off the parasite and they become sick and lethargic very quickly. Trevor was immediately taken to a treatment room at the Malaria Center where he tested positive for malaria. Because his blood glucose level was also very low, he received an IV to raise his blood sugar as an emergency measure. Trevor also received Artesunate intravenously, which is always given in severe malaria cases for rapid clearance of the parasites. After stabilization, Healing Faith Uganda transported Trevor to a children’s hospital for continued care. At the hospital, Trevor required more blood glucose and a blood transfusion. Thankfully, within 12 hours of admission, Trevor was already improving and was able to sit up, eat, and drink. Within 24 hours he was playing with his roommates in the hospital. Trevor had made a complete 360 and was going back to his usual playful self! Trevor remained in the hospital for six days where he continued to improve and heal. He received ongoing malaria treatment, antibiotics to clear any infections, and a second blood transfusion. Throughout his stay Healing Faith's Patient Outreach Coordinator, Apio, and Medical Manager, Ashley, went to the hospital daily to ensure Trevor was receiving proper care and provided his mother, Mary*, with extra support. 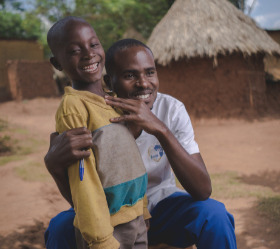 Two days after Trevor had recovered and been released from the hospital, Healing Faith's outreach team visited the family in their home to check on Trevor and offer additional malaria education and resources. They found a happy and active little boy who was full of life! 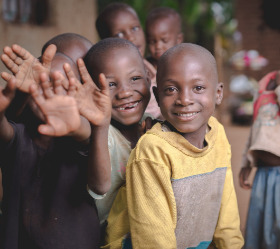 At the follow-up meeting, the Healing Faith Uganda team learned that Mary had been anxious about being able to afford Trevor's treatment and was overjoyed and in disbelief that the Malaria Center and hospital stay were completely covered. I thank those at Healing Faith for giving life back to Trevor. I didn't think Trevor was going to live. 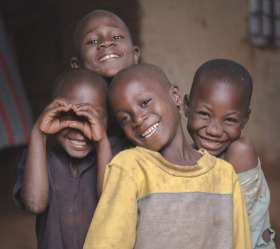 Malaria is a devastating disease, especially for young children and pregnant women, and is one of the top causes of death for children in Uganda. 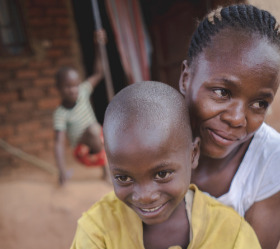 For many families, the cost of treating malaria ($1 for a child) is simply unaffordable. 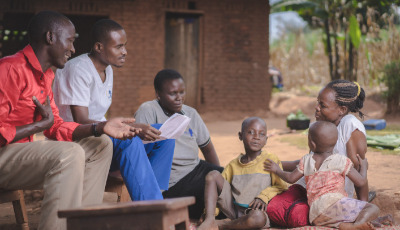 The Mayuge community served by the Malaria Center and Healing Faith's team has one of the highest transmission rates of malaria in all of Uganda because mosquitoes thrive on nearby Lake Victoria. By donating to Healing Faith Uganda through the Young Living Foundation, you are providing education, testing, treatment, and life-saving mosquito nets to families living on the banks of Lake Victoria. Story and information provided by Healing Faith Uganda and photos provided by Bob Ditty.